Ultimate Kids Entertainment for Christmas Parties and Corporate Events! Like us, you are no doubt thinking about the end of the year and planning various activities, parties and holidays! Do you need an experienced team to look after a gaggle of kids at one of your events? As Brisbane’s Children’s Entertainment specialists, we can come to your school, corporate event, family fun day, company Christmas party, wedding or function of any size and do what we do best – entertain those kids! 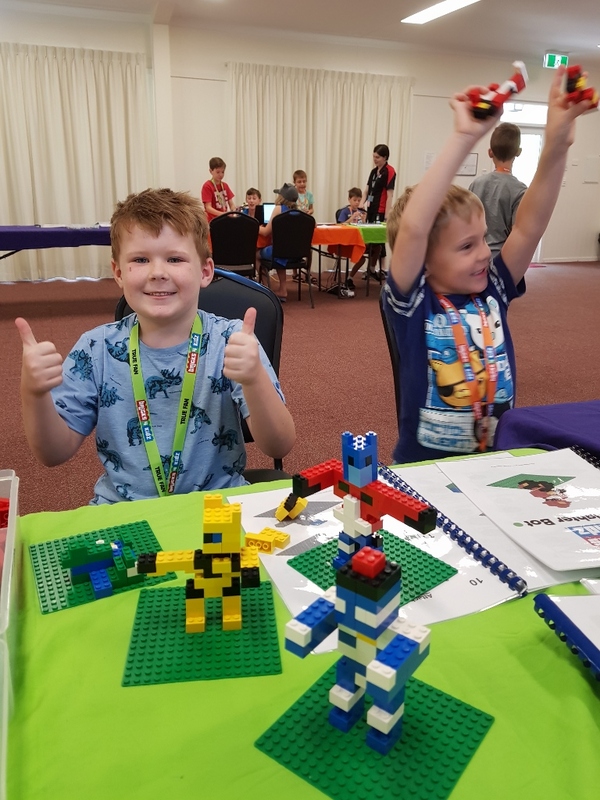 BRICKS 4 KIDZ delivers safe and hassle–free AWESOME programs and workshops with LEGO® Bricks, using our own unique in-house kits and models with a variety of themes to suit any occasion. We can bring our non-stop Fun to your place! Our engaging activities are suitable for school aged children (K-6) of all skill levels. All our programs are professionally run by our screened and trained enthusiastic instructors. We’d love to bring our fun and engaging activities for kids to your corporate event, function, Family Day or Christmas Party. Don’t leave it too late — get in contact with us today to discuss options! Modern workplaces focus on creating unique, fun, and rewarding experiences for their staff. BRICKS 4 KIDZ can help create an engaging workplace with our Holiday Programs and Corporate Entertainment! STEM-Focused Holiday Activities for Children of Your Staff! Modern workplaces focus on creating unique, fun, and rewarding experiences for their staff, just as the organisations occupying those workplaces look to do the same for customers! Companies such as Google are celebrated for their thoughtful approach to staff engagement. Are you looking to create a dynamic, engaging workplace? Why not consider a fun and educational event aimed at bringing children of staff members into the workplace! BRICKS 4 KIDZ now offers in-house School Holiday programs for companies and organisations to host on their premises. All parents feel the pressure of arranging holiday activities for their kids; with this program, you can relieve that pressure for parents with a STEM-focused and super-FUN holiday workshop! Flexible options are available, with one, two and four day combinations possible. 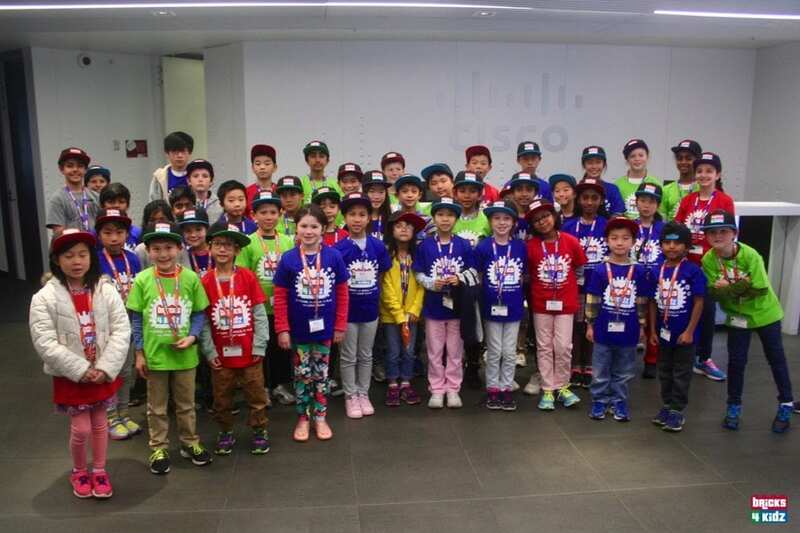 We conducted a four day event for Cisco Systems in their premises in St Leonards for over 50 children of their staff. A gallery of photos is available here, to give you an idea of how it looked. Recently we delivered a similar event for the Sydney group of KPMG Australia at their offices in Barangaroo! We’d love to bring this rewarding event to your workplace. If you would be interested, get in contact with us today to discuss options!